Bank road runs through the centre of Matlock, Derbyshire. It is one of the steepest town-centre climbs and makes a good venue for a hill climb. It was used as the National hill climb venue in 2008. 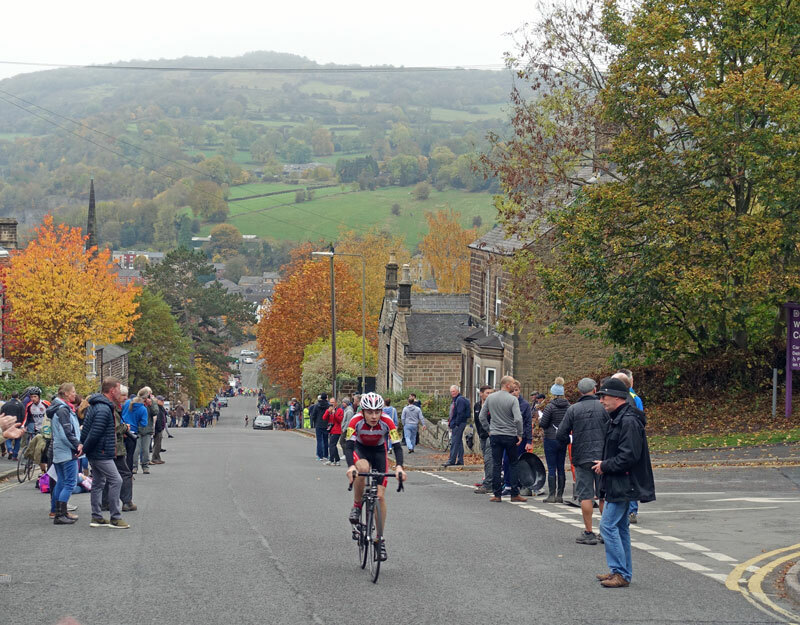 A shorter version is used every year in the Matlock CC double hill climb even (as well as the nearby Riber hill). 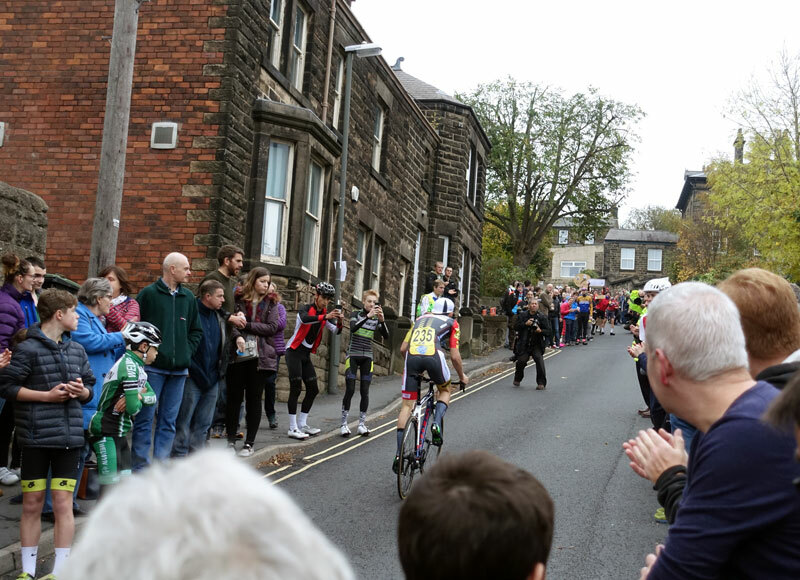 See Race report for 2016 national hill climb championship. The top of Bank Road before the right hand turn to Wellington Street. National Hill Climb 2016. Bank Road begins in the centre of Matlock by the river Derwent. The first 250 metres are a gentle gradient, but then the climb gets progressively steeper. It gets to its steepest point just before the end of Bank Road. The full climb then turns right onto Wellington Street, where the gradient eases off a little. Looking back down Bank Road. 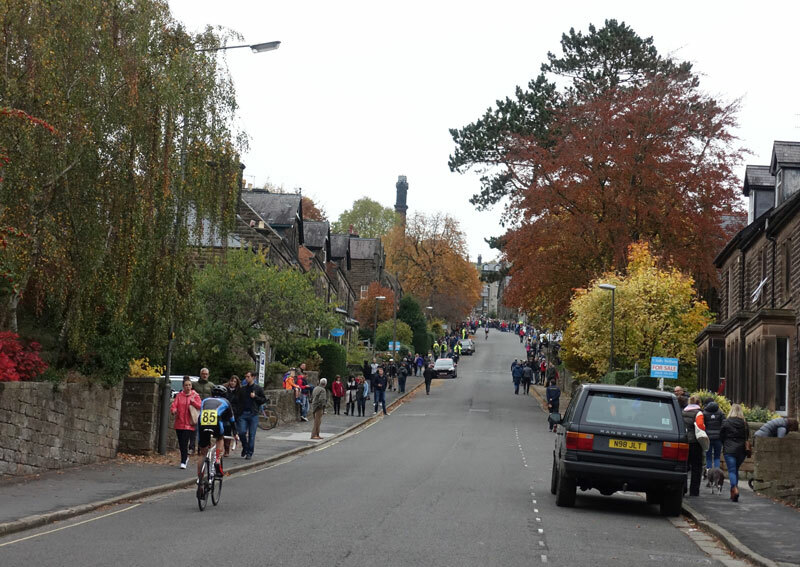 In the Matlock CC open event, the climb finishes on Bank Road. In 2014 Adam Kenway won the event in a time of 01:46.6. The 2008 National championship version goes all the way to the end of Wellington Road. The version used in the national hill climb also uses an extra leg on Wellington Street. 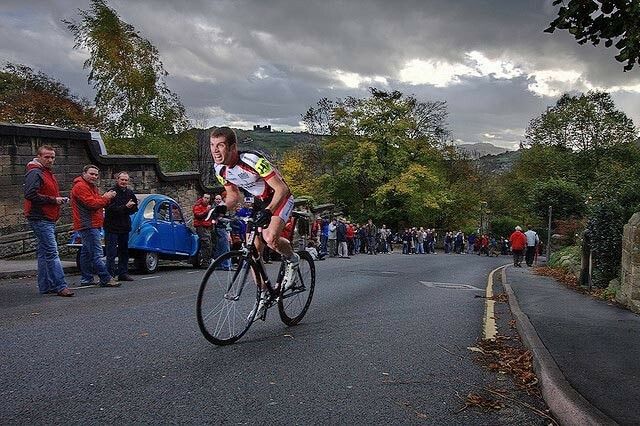 The 2008 National hill climb was won by Matt Clinton in a time of 2.24. 1st women Lyn Hamel 2.59. 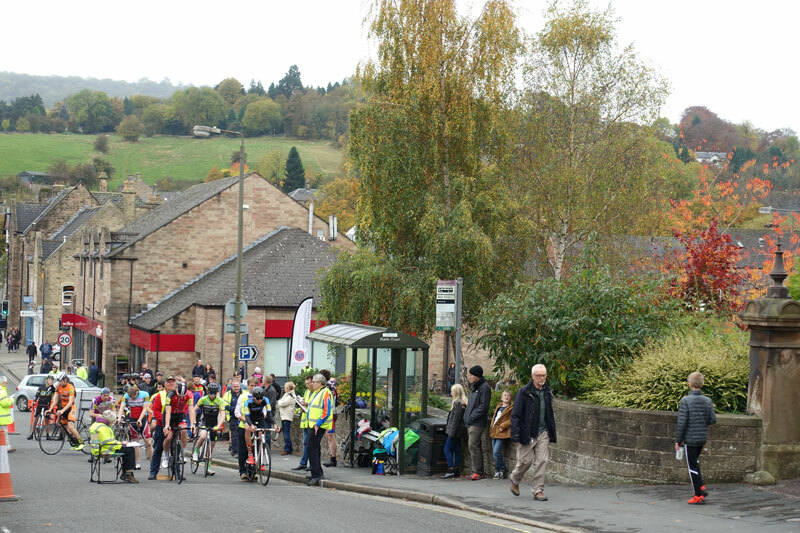 The only time I’ve ridden Bank road is the national hill climb in 2008. 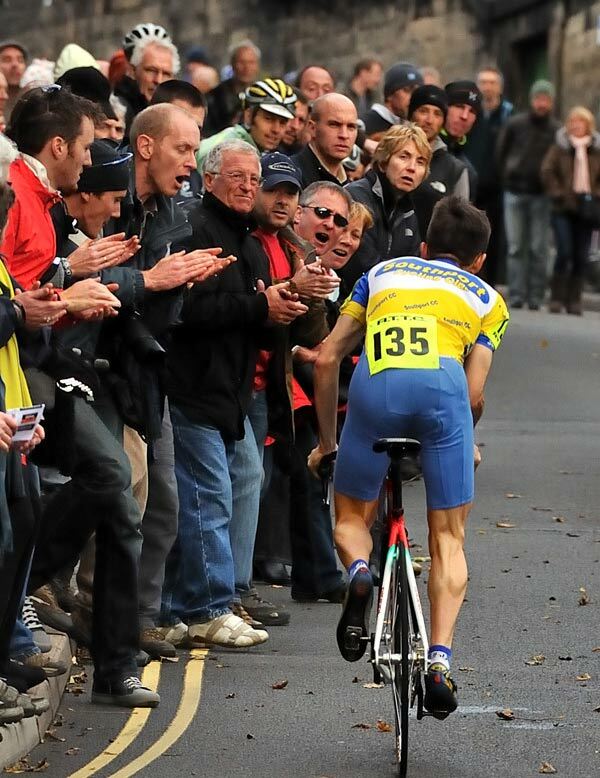 I hadn’t done much riding that year, but I still went to the national hill climb. I went really hard on the steep bit and then struggled on the last section on Wellington Square. I remember feeling very light-headed in the middle of the climb. Quite exhilarating with all the spectators. It is pretty steep. I finished 14th in a time of 2.42. Lynn Hamel (The Green Room Group.com) was fastest women. Team Prize Blackburn & District CTC, Adam Pinder Ian Stott and Chris Edmondson. Adam Kenway 2.18.2 (Metaltek Kuoata RT) and Lou Bates 2.57.1 (Veloschils Interbike RT) were the respective men and women champions. Stewart House (10) at the start. Photo me whilst warming up. Start at the bus shelter just above Imperial Road, Matlock. Climb up Bank road and continue into Rutland Street to finish by the wall just above Matlock green garage, just before the junction with Wellington street and the triangle at this junction. Will I need a qualifying time to enter? Yes. 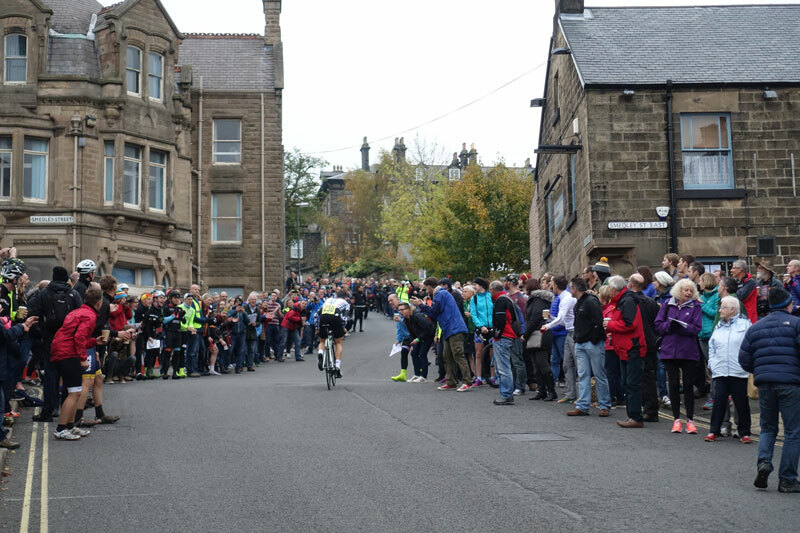 In recent seasons, the national hill climb championship has been oversubscribed. It is likely to be oversubscribed again this year.